Twins, twins, twins! 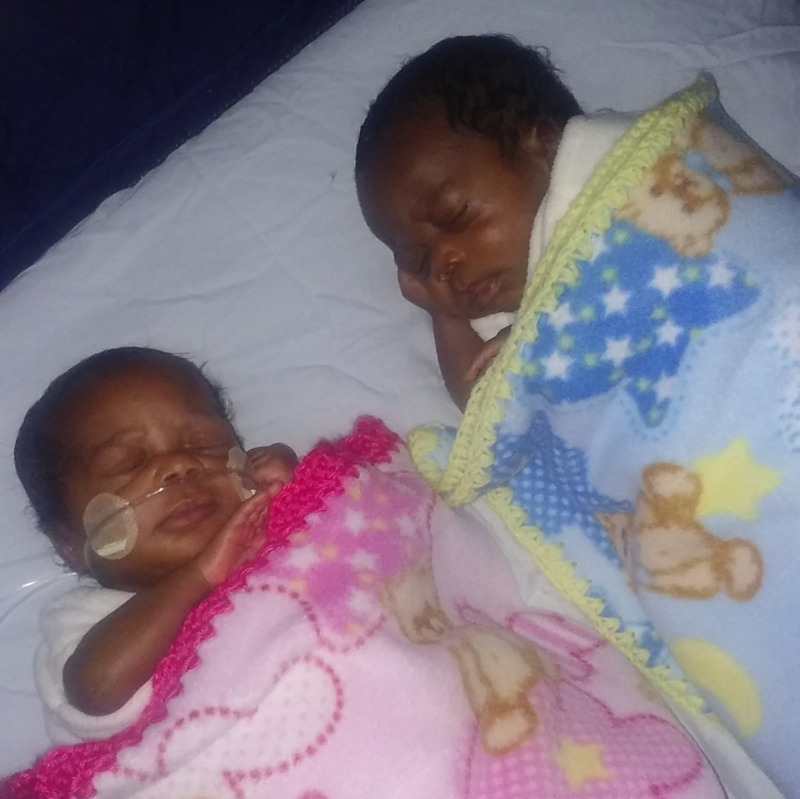 We are brother and sister, born 2 months early and lived in the NICU (neonatal intensive care unit) for an entire month. We both had difficulty with feedings and sister still wears a monitor for her breathing. We love being home with our brothers, sisters, Mom & Dad. Our family has 3 sets of twins, two big brothers, and lots and lots of love to go around.